And we are back! That’s right, it’s time for another #WomeninMaritime Q&A! This week we had the privilege to chat with Annette Parker, PR and Communications Manager at Hill Dickinson. 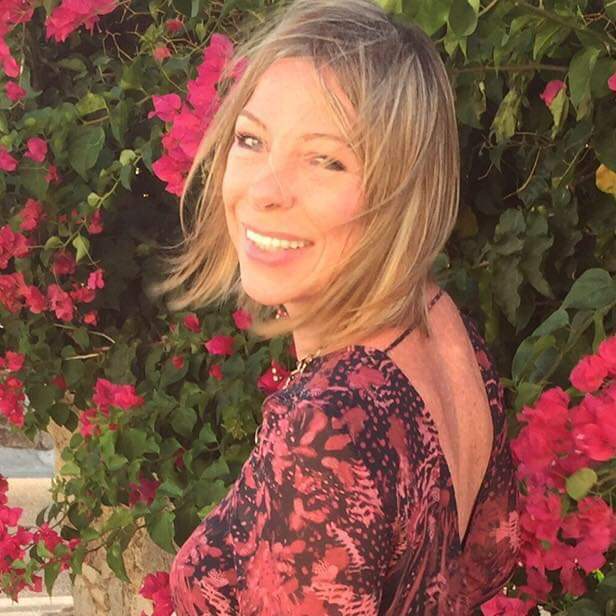 During our chat, Annette tells us of the exotic places the maritime industry has taken her as well as what she believes is the biggest challenge the industry faces today and in the future. Propeller Club Liverpool: Hi Annette! Let’s start with an easy one. How long have you worked in the maritime industry? Annette Parker: Hi! Over 20 years – can’t quite believe it! PCL: What was your first job in the industry? AP: I moved to Liverpool shortly after uni and was taken on by Bibby Line, knowing very little about – and having had no real plan – to work in maritime. My first job was project coordinator in the company’s ‘floating accommodation’ division and it was an exciting start: I travelled widely, including to China, Hong Kong, Qatar and various states in the USA; I also visited floating prisons in New York, barge based refugee accommodation in Sweden and Germany and contractor accommodation in the Shetlands. One of the experiences from that time that will always stay with me, particularly in light of 9/11, was sitting in the famous Windows on the World restaurant on the 107th floor of the World Trade Center with our NY lawyers, looking across the Big Apple while drinking expertly made G&Ts. PCL: What do you feel is the biggest current issue you are dealing with in your job? AP: I’m new into my current role, which is always exciting. I’m keen to learn more about the wider legal environment I now work in and the various sectors, including maritime, to which Hill Dickinson provides legal support so that I can add real value. PCL: What is the next major challenge in shipping? AP: Environmental issues are a major challenge in all industries, including shipping. I applaud the push for positive change. PLC: That leads us on nicely to our next question. What is the most positive change in shipping? AP: We’re beginning to see a real appetite to address gender imbalance and unconscious bias in maritime, whether at sea or in land-based jobs – but it’s important that we keep banging the drum. PCL: What is the one thing that has to change? AP: I’m looking forward to a time when a ship’s captain is just the captain and an engineer is just the engineer, regardless of whether they’re male or female. PCL: What makes you most proud in your job? AP: The ability to build strong relationships and earn the trust of those I work with. PCL: If you were leaving school today what job would you want? AP: I suspect I’d still be drawn to working in communications – I love writing, I love people, I talk a lot. What’s not to like? PCL: Who in the industry has been your guiding light or inspiration? AP: I’ve been fortunate enough to work with some of our region’s most highly respected industry leaders in maritime, the best of whom have always been extremely generous towards me with their time and knowledge. PCL: What do you love most about Liverpool? AP: I love the vibrancy of the city, the waterfront and the fact that wherever you go, you still always bump into people you know. PCL: Thanks for your time Annette. It’s been a fascinating chat. Don’t forget to follow us on Facebook, Twitter or Instagram for all our news and happenings!